Fostering the HOME/SCHOOL CONNECTION is essential to students’ success. Incorporating families in the learning process not only promotes literacy, but also strengthens the learning community. Our BILINGUAL TEXT LIBRARIES were designed to enable the student and parent to share in the experience a child encounters through literature. 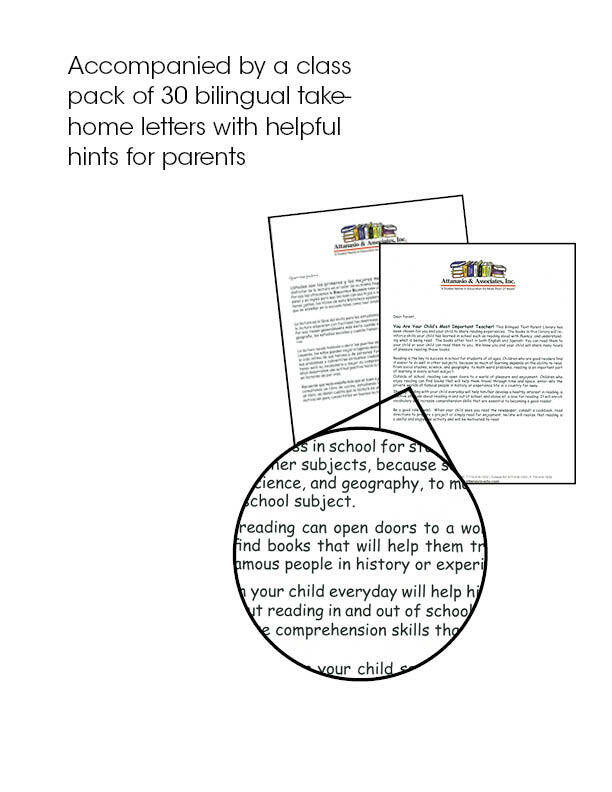 The books offer text in both English and Spanish. Students can take books home for their parent to read to them or for them to read to their parents. 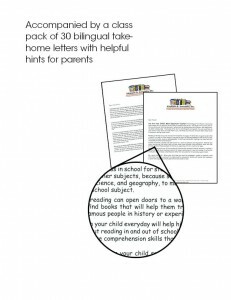 -Are accompanied by a class pack of take home letters in English and Spanish which provide helpful hints to parents for reading with their children. We know that these libraries will encourage parental involvement and help to create lifelong learners.These materials are particularly appropriate for Title I, Title III and all funded programs.